Craig Walter is a Private Banker serving Morgan Stanley’s Wealth Management offices in California. 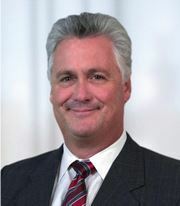 Craig began his career in financial services in 1984. Prior to joining Morgan Stanley in 2010, Craig was a Branch Manager at JP Morgan Chase Mortgage Corporation. He resides in Arroyo Grande, California. Outside of the office, Craig enjoys playing golf, surfing, and traveling. Ready to start a conversation? Contact Annie Evans today.